Here at Quality chrome we offer a full engraving service to our customers. 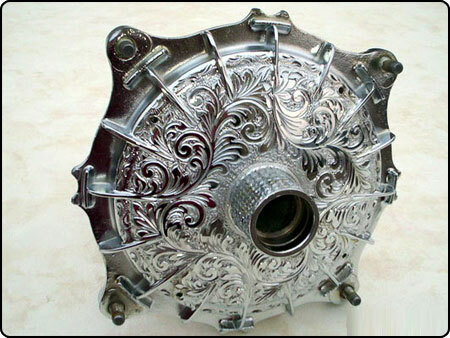 There are two types of engraving generally undertaken. Items such as signs and name plaques are usually done on a flat bed machine controlled by computer. The other type offerd is to either motorcycle and scooter parts which have been customized to a particular theme. 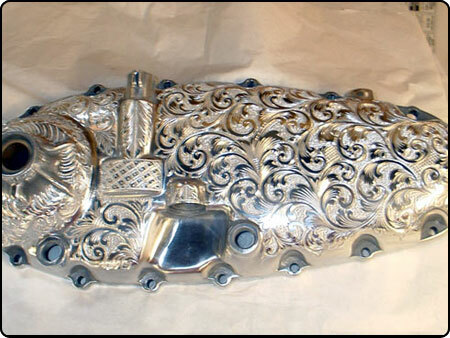 This type of engraving Is usually done by hand carving with chisels and normally takes the theme of scrollwork and pictorial styles.